Really need some help , just pick up a Haunted House , my first system 80 pin. It have the Pascal Janin board , all the fuse are good , all the GI are lighting up but game does not boot and there is no display , if i let the game on for a little while i can hear the attract sound but that s it. 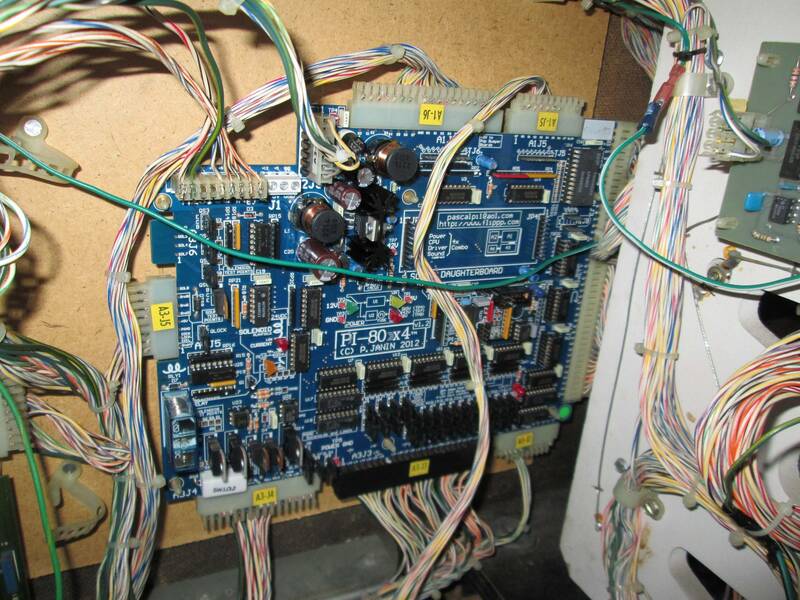 Start with checking the voltages on all boards to see if they are correct. ... which I'm going to guess is going to lead you to the power supply. 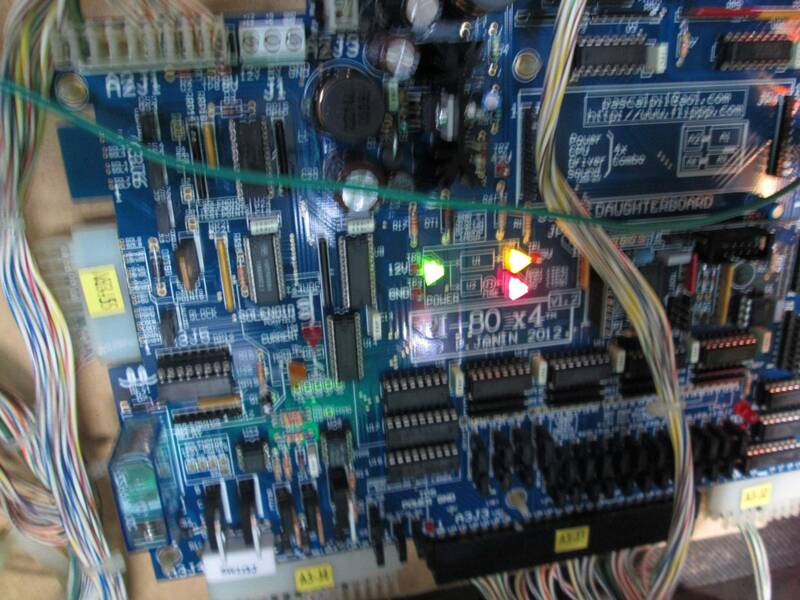 Well my machine is equiped with only sound board and Pascal Janin 4 in 1 board , the connector are all original except one , you think I should start with this ? You still need to check voltages to make sure power is getting to the board from the transformers. Connectors are something that could possibly be causing issues. Where do i check the voltage going to the board ?? I dont know from which connector is coming the power , but i see power leds ground and 12 V are lighted when i power on the machine. 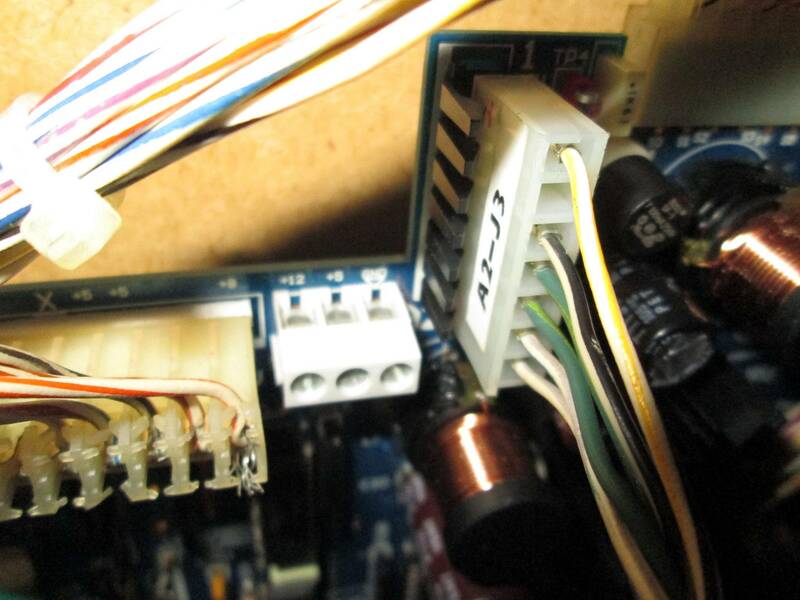 Start with the power supply, check the test points on that board, then move on to the other boards. They should all have test points on them. Refer to the manual for proper voltages at each TP. Wow, I'm sorry! Comprehension problems today. The others are right, check that the board is getting the proper supply from the transformer. Haunted house has two, I'm speaking of the larger. A2J1 is looking a little funky. Board has test point for ground and bvoltages right in the section with LEDs. A2J1 is looking a little funky. Is that what plug it is? I'm not drunk enough to see that last pic. Seems to me I've seen in other threads that Pascal will help you if you contact him. Don't know if there is any truth to that but could be worth a try. Did the Pin work when you picked it up? 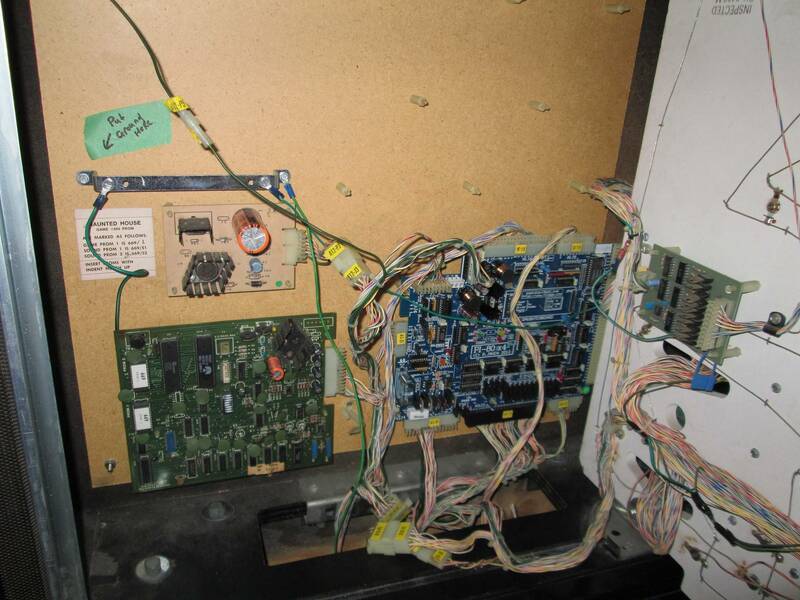 If it did, I'd recheck all your connections and connectors to make sure they are going to the correct location, they are installed correctly and the wires are inserted into the connector contacts securely. Might also be a good idea to use a magnifying glass and sheck all the contacts for corrosion, damage, etc. Since you have a Pascal replacement all in one PCB, I tend to think that the Pascal PCB is OK. Pascal's PCBs are rock solid and he has designed a lot of safety features into his PCBs to avoid having coils lock on, etc. if it didn't work, well, we're all here to help out. RWH , i contacted Pascal , waiting for a response !! connectors connectors connectors. I see they are original. You can replace these with standard .156 pins. that may eliminate a lot of your issues. Combined with what was previously posted -- plug at A2J1 looks pretty gnarly and would probably be the easiest of all of them to replace. Probably good idea to repin or replace them all ... but that black double sided bugger can be the tough one to repin (pins are NLA).